Outdoor Sunbrella bean bag chairs that are perfect for the boat, deck, porch or pool-side. These bean bag chairs are made of Sunbrella, the most common fabric used for patio umbrellas and other outdoor furniture. They are very tolerant of UV rays and heat. Each has a large seating size with a circumference of 112" (taking up approximately 3 feet on the floor). The pear-shaped design offers both back support or rounded appearance as needed. Features double stitched seams and an auto lock zipper for safety and durability. It is filled with 12 cubic feet of soft, comfortable recycled polystyrene beans and is easily refilled. Made in the USA. Great for patios, decks or boats! 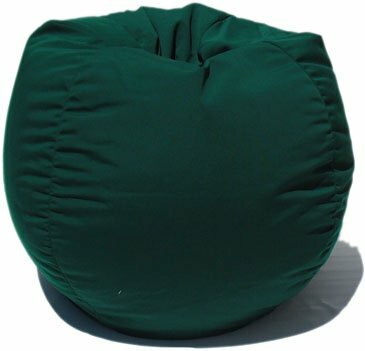 If you have any questions about this product by BeanBagBlitz.com, contact us by completing and submitting the form below. If you are looking for a specif part number, please include it with your message.